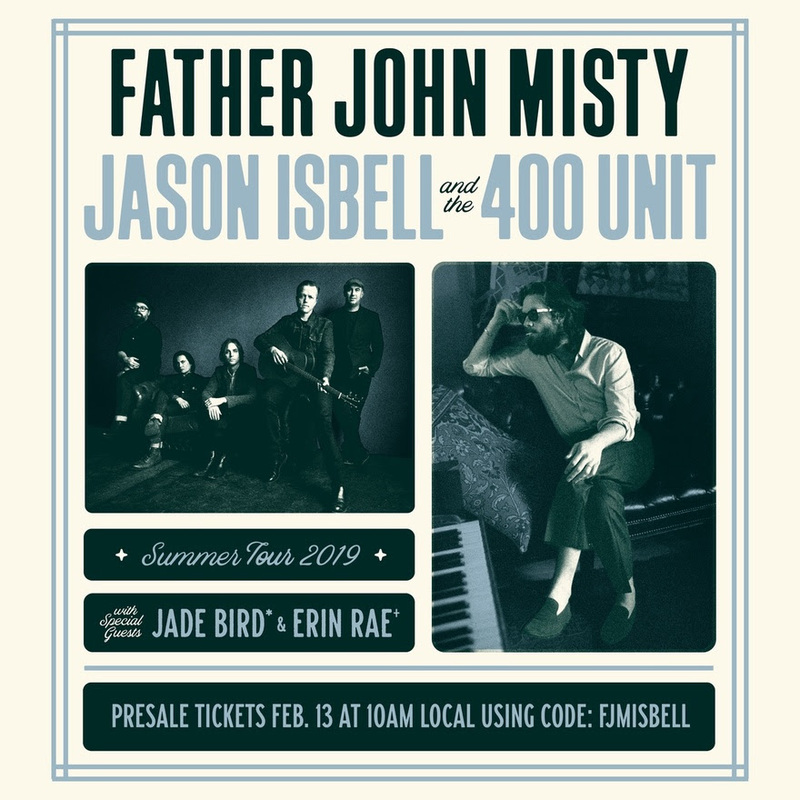 Father John Misty and Jason Isbell and The 400 Unit are joining forces for a co-headlining summer tour, beginning this June. The two critically acclaimed, award-winning artists will be joined by Jade Bird (June 6-25) and Erin Rae (June 27-29) on their first-ever joint tour. Jason Isbell and The 400 Unit are heading out on the road in support of their Live From The Ryman set and most recent studio album, The Nashville Sound — a two-time Grammy Award-winning collection (Best Americana Album and Best American Roots Song for “If We Were Vampires” in 2018). Father John Misty’s 2018 release, God’s Favorite Customer, earned spots on over 30 “Best Albums of 2018” lists and will be his emphasis on tour. Beginning Wednesday, February 13 at 10 a.m. (local time), presale tickets will be available with code: “FJMISBELL.” Tickets can be purchased by the general public from Friday, February 15 at 10 a.m. (local time). See below for 2019 summer tour dates.